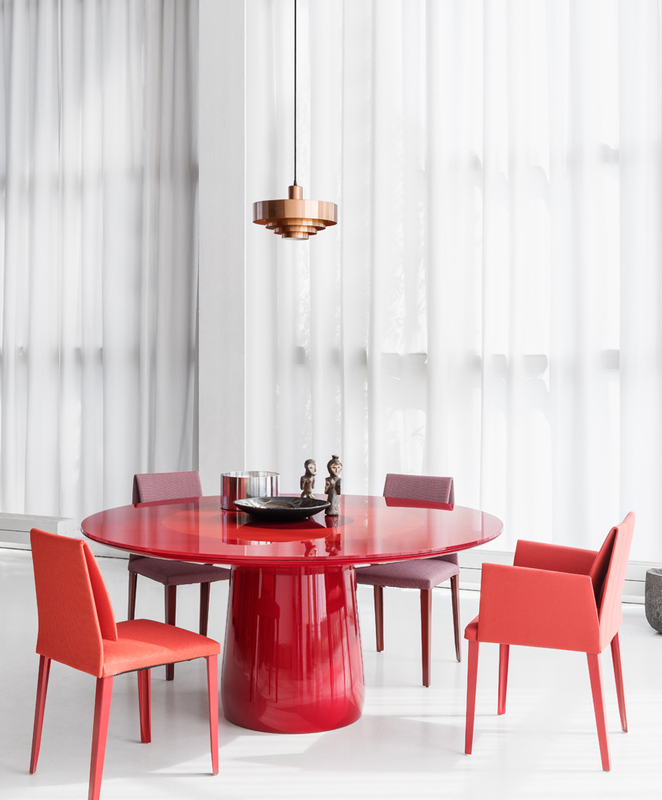 Round tables offer the most social seating. There is no hierarchy and you have the best eye contact with each person around. 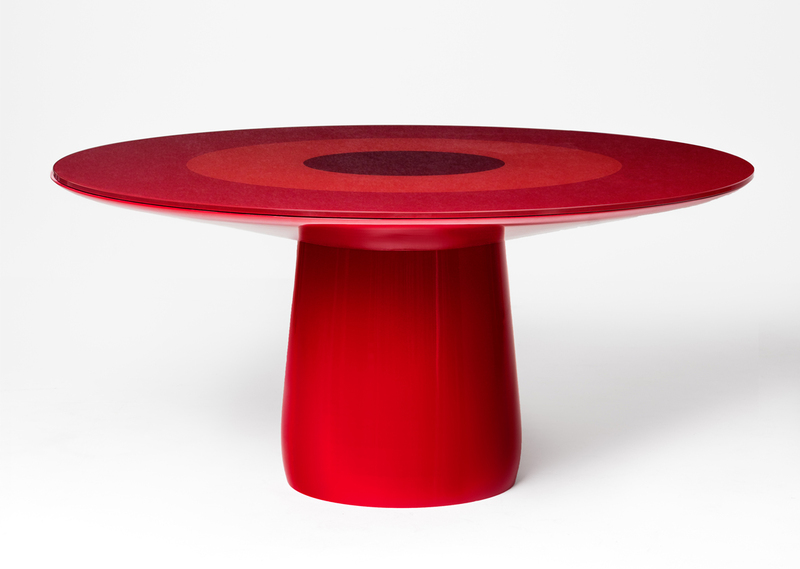 The Roundel table celebrates the circle. Within one table there are no less than five circles – the foot and waist of the base, plus the three integrated discs of the top. 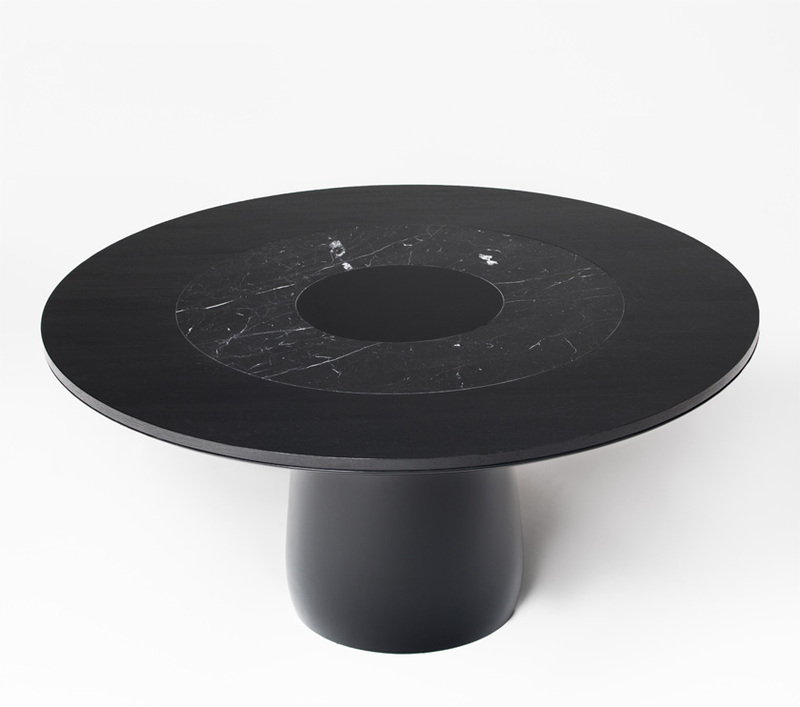 The table has a sculptural quality, as if it had been formed in clay on the potter’s wheel. A ´roundel´ is a circular disc used as a symbol. The term is used in heraldry, but also commonly used to refer to a type of national insignia used on aircraft, generally circular in shape and usually comprising concentric rings of different colours. The beauty of a roundel is how it offers clear recognition through very simple graphic means. The division of the top into centric discs of different materials and/or colours suggest zones – for instance, hot pots can be placed on a stone centre while wood on the perimeter, nearest to your hands, is pleasing to the touch.